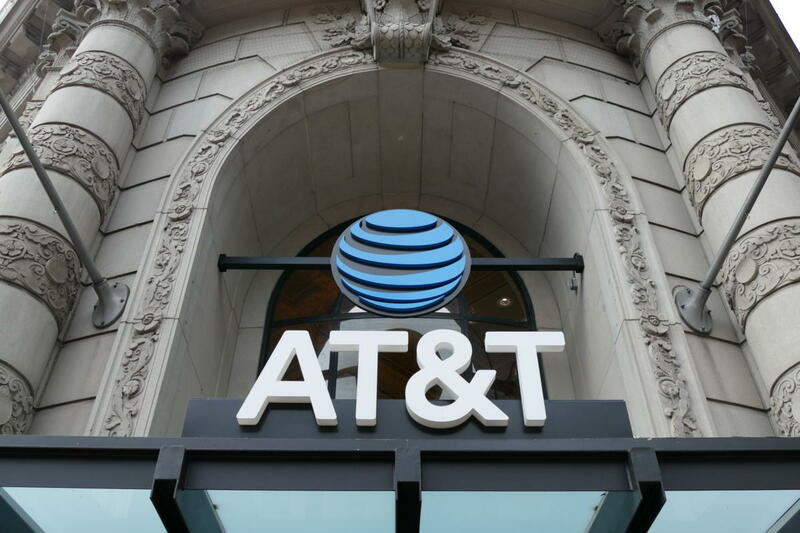 AT&T capped off this week’s carrier showdown by releasing its own unlimited data plan following announcements from Verizon, T-Mobile, and Sprint. Prior to this announcement, AT&T only offered unlimited data plans to its DirecTV and U-verse subscribers. Before you get too excited, however, this plan is the most expensive of the bunch for a single line, and has a few drawbacks compared to the other plans. 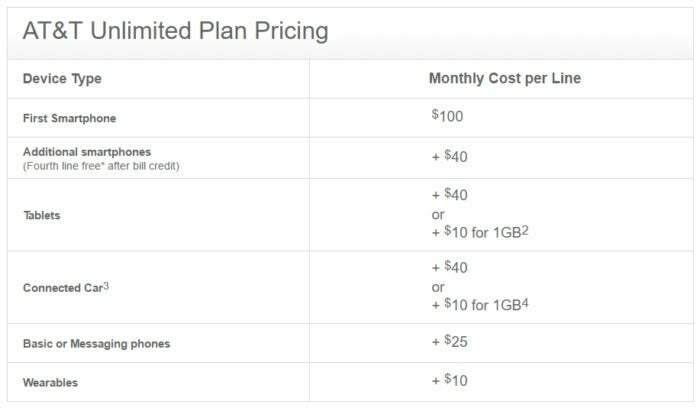 The new AT&T unlimited plan is priced at $100 a month for a single line and an extra $40 per month for each additional line, up to a maximum of four. That’s easily the most expensive unlimited data option for a single line, but AT&T’s plan is actually competitive—price-wise—with Verizon when you need two or four lines. At four lines, AT&T charges $180, but that includes a $40 credit which takes two months to kick in, meaning you’re paying $220 for the first two months. The plan price includes AT&T’s $60 plan charge, plus device access charges which vary from $10 to $40. Pricing aside, AT&T’s service also comes with some downsides. The plan doesn’t include mobile hotspot data, which requires a capped data plan. That’s not terribly surprising as AT&T has been wary of mobile hotspot on unlimited plans going back to the early days of the iPhone. AT&T’s plan also has its Stream Saver feature on by default. That means videos over the unlimited plan will stream at around 480p—DVD quality. However, AT&T told Ars Technica that subscribers can turn off Stream Saver to get higher quality video streaming. The new AT&T unlimited plan also has variants of the features we’ve seen from other providers. The plan includes free calling and texting to Canada and Mexico, as well as the ability to roam for free in those countries. However, AT&T subscribers have to add the Roam North America feature to their account at no extra cost. AT&T says you may lose access to Roam North America if more than 50 percent of your usage for two consecutive billing cycles comes from the other side of the border. AT&T may also throttle unlimited data connections after 22GB of data consumption, but only during periods of network congestion. T-Mobile and Verizon announced similar policies. The impact on you at home: If you’re in an area where AT&T is your best choice for mobile service then at least you’ve got an option for unlimited data if you need it. But at $100 it’s by far the most expensive option for a single line, and the lack of mobile hotspot will be a deal killer for some.